Bermuda grass, a perennial grass, grows in warm climates and can be found along the eastern part of the United States. The leaves of Bermuda grass are less than an inch long and grey-green in color. Bermuda grass thrives and germinates quickly when temperatures reach 90 to 100 degrees F. When planted too early in spring, the grass will be slow to germinate and result in thinner grass. It can be difficult to control once established and quickly take over flowerbeds. Plant Bermuda grass seed in late spring or early summer when there is no longer a threat of frost. Daytime temperatures should stay above 80 degrees F throughout the day. Prepare your soil before planting Bermuda grass seed. Clear the area of any loose rocks and sticks and other debris. Till the top 2 to 3 inches of soil. Loosen the soil so that the grass seed can penetrate. Test the soil to ensure the proper pH. The pH should be between 6.5 and 7.5 for Bermuda grass. To raise the soil pH, add lime. For every 1,000 square feet of soil, add 50 pounds of lime. To lower the soil pH, add 400 pounds of sulfur per acre. Broadcast grass seed using a seeder or spread the seed manually. Place the seed in a wheelbarrow and spread a layer of seed evenly over the soil. Plant 1 pound of seed per 1,000 square feet of soil. 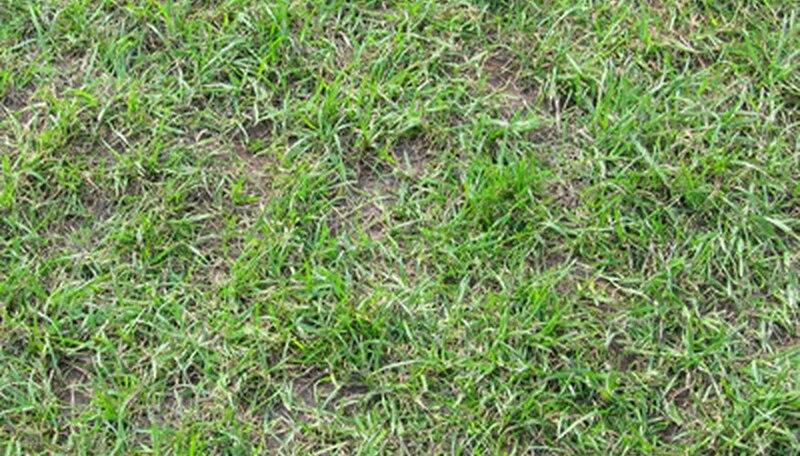 Cover the grass seed with approximately 1 inch of soil. This will protect the seeds from washing away and help them germinate quickly. Apply 1 pound of nitrogen fertilizer for every 1,000 square feet of grass seed. Bermuda grass needs plenty of nitrogen to grow. Water your seed immediately after planting. Apply 1 to 2 inches of water per day. Once the grass begins to establish, cut back to 1 inch of water every other day. Mow your grass when it reaches a height of at least 2 to 3 inches long. Set your mower blade to trim a 1/4 inch. Trimming too much can kill your new grass. Allow it to grow a little long before the first cut.